If you've been reading this blog, you’d know that I've recently started baking again with a vengeance. And so when I found out that Little Black Book Delhi (LBBD) were organising a Make and Bake Grub Club workshop at the JW Marriott I could not resist but sign up. Though I must mention that the folks at LBBD were kind enough to squeeze me in right at the last minute (bless them). The event took place on June 28th at the JW Marriott Aerocity property at their patisserie and coffee shop, The Delhi Baking Company. 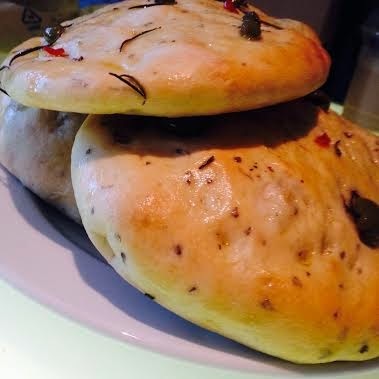 Led by Head Chef Girish Krishnan and Chef Narendra Lendave we baked Focaccia Bread and Pistachio Macarons. Now to be honest it was the Macarons that I was truly there for. I have been hugely fascinated by Macarons ever since I ate my first one. 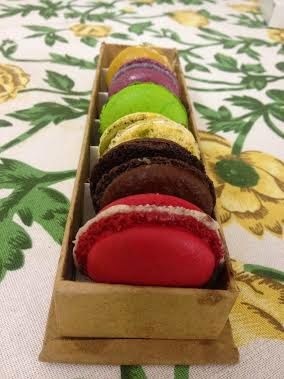 To me a Macaron is more than just a piece of confectionary-it is a perfect balance of flavour, texture, size and colour. You've got to give it to the French, they know their food all right! 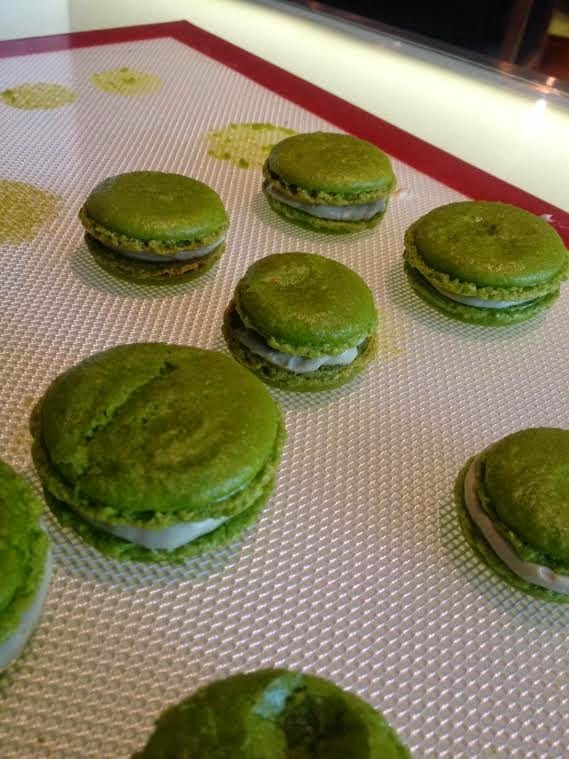 I’ve done a fair bit of research on Macarons over time and I was itching to bake my first batch and the Make and Bake Workshop was the perfect opportunity for me to get my hands dirty. 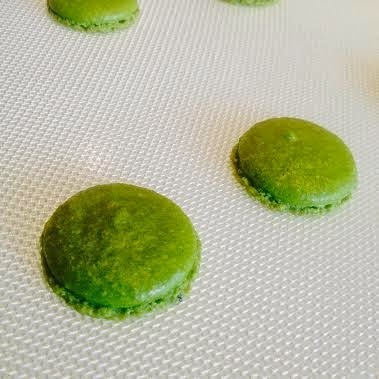 The only two parts of the Macaron baking process I was nervous about was the folding in of the almond powder in the egg white and sugar mix and then piping the batter on the baking mat- but I surprised myself! My batter was the exact consistency it should’ve been, and for a first timer my Macarons were perfectly circular. Chef Girsh seemed impressed and asked me if I had baked Macarons previously. That in itself was immensely encouraging. 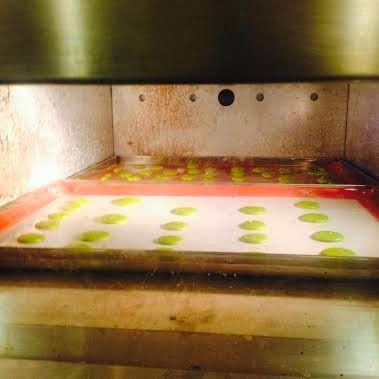 We then let our Macarons air for about thirty minutes before we popped them into the oven. Later we filled our Macarons with a Buttercream filling and though I’m partial to Ganache, the buttercream was pretty good too. Baking Focaccia Bread was a fun experience as well and took for more kneading than I imagined. But nothing beats the aroma of a fresh loaf of bread hot out of the oven. That was not all; the folks at the Delhi Baking Company had a surprise for us. There was going to be a giveaway for the best baked Macarons and Focaccia Bread. And guess who won a hamper for the best Macarons (ahem)! And as if that was not enough, at the end of the workshop we were all given a goody bag, full of Macarons so colourful and pretty that I didn't have the heart to eat them. But then eat them I did. So here’s to more baking, more blogging and of course, more eating!